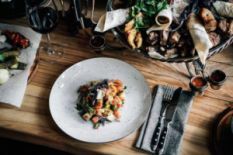 In the end of March 2019 Chef Youssef Talbi from Casablancai will present Moroccan cuisine in Hyatt Regency Kyiv. The food of Morocco ranks high on lists of the world's best cuisines and is well worth exploring. Chef Yousse is creating a special a la carte menu that will be presented from 21st to 30th of March at Grill Asia restaurant in Hyatt Regency Kyiv. In addition, anyone can join Moroccan cooking master-class on the 30th of March. The price for participation in the master-class is UAH 1250 per person. It is hosted by Chef Youssef Talbi and followed by lunch. Anyone who wants to taste the Moroccan cuisine can win a trip for 2 to Morocco! You just have to book a table at Grill Asia restaurant for a meal from 21st to 30th of March and stand a chance to win a getaway for two to Marrakech. The prize includes two return flight tickets, a three-night stay at Hyatt Regency Casablanca including breakfast and visa fees. Prize draw will take place on 30th of March. Enjoy your meal and keep your fingers crossed. Photos provided by PR service of Hyatt Regency Kyiv. 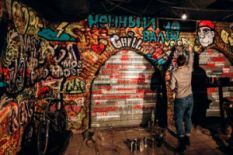 Gustroculture in Kyiv is booming and some new venues, bars and restaurants are appearing in the capital every month. Let's check some new places to visit this March 2019.